The special forces chronograph, now large and luxe. 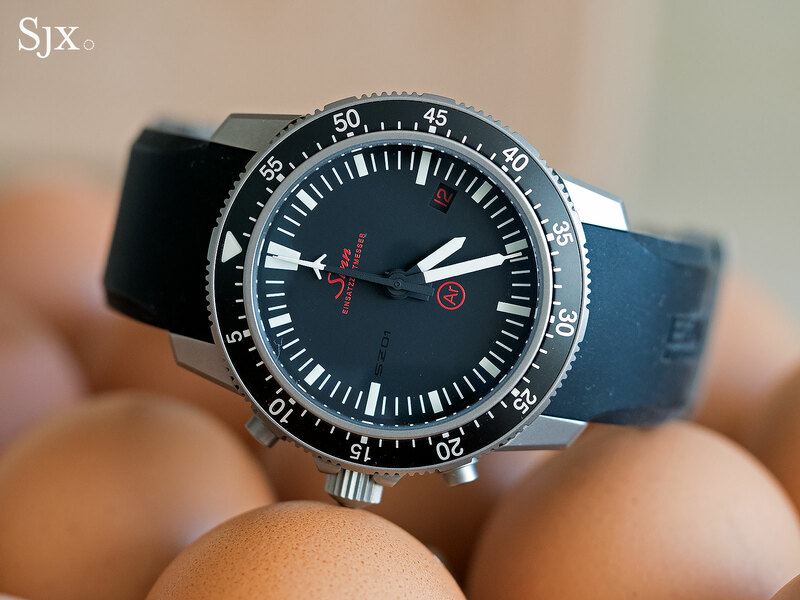 Bigger is not usually better, though in the case of the Sinn EZM 1.1, it is. While not as historical as the original EZM 1, the upsized remake is an intrinsically better watch in fit, finish and function. Unveiled in 1997, the original EZM 1 (ref. 503.010) was a no-nonense, low-cost watch designed for the Zentrale Unterstützungsgruppe Zoll (ZUZ), the SWAT team of Germay’s federal customs authority, and not the GSG 9 police unit as sometimes assumed. Not long after, additional watches were also made for the customs service’s technical support unit Zentrale Technikgruppe Zoll (ZTZ). As the story goes, the crown and pushers were position on the left of the case so to prevent them from digging into the back of the wrist while using firearms and dealing with heavily armed smugglers. With perhaps 50 or so watches in total produced for both units – issued watches had the unit logo on the dial at six o’clock – plus around the same number made as a ZUZ limited edition for Japan, the EZM was also a commercially available wristwatch, priced at about US$2000 or so. The civilian versions had a “3H” logo on the dial, indicating the use of tritium, which was later replaced by an “Ar” logo when Super-Luminova became the standard luminous material on watch dials. 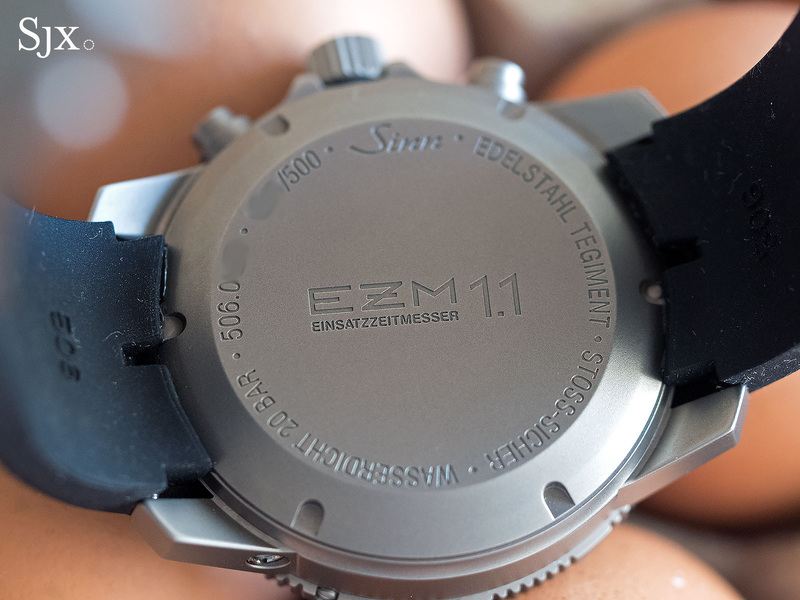 The original EZM, short for Einsatzzeitmesser, which translates as “mission timer”. Made of titanium and powered by the economical Lemania 5100 movement, the EZM 1 was lightweight, distinctly no-frills, and discontinued in 2004 (though a 250-piece limited edition was made in 2008). Given the cult favourite it was, what happened late last year was not completely unexpected: revealed the EZM 1.1, a remake of the original boasting numerous upgrades. Significantly larger than the original, the EZM 1.1 is 43mm wide and 16.4mm high, while the original was 40mm by 16mm. 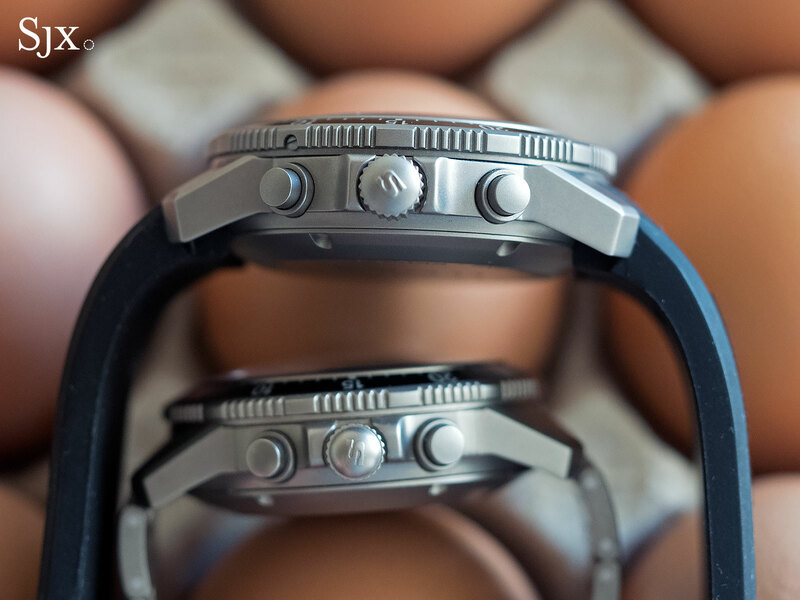 Though the watches share the same design, the increase in size is not exactly to scale – the EZM 1.1 is proportionately slimmer than the EZM 1, since its increase in diameter is way more than the increase in height. Additionally, the EZM 1 has a higher, more rounded domed crystal than its successor, making it feel even thicker. The EZM 1.1, however, is much heavier, being steel instead of titanium. The change of material is a step forward because the steel is treated with Sinn’s Tegiment process (which is similar to Kolsterising) that hardens the surface, leaving it hardy and nearly scratch-proof. The case is uniformly finished with a fine sandblasting on all surfaces, giving it a look similar to the titanium of the EZM 1. The Tegiment steel is nevertheless a shade lighter than titanium, and also carries a faint tinge of yellow in certain light. 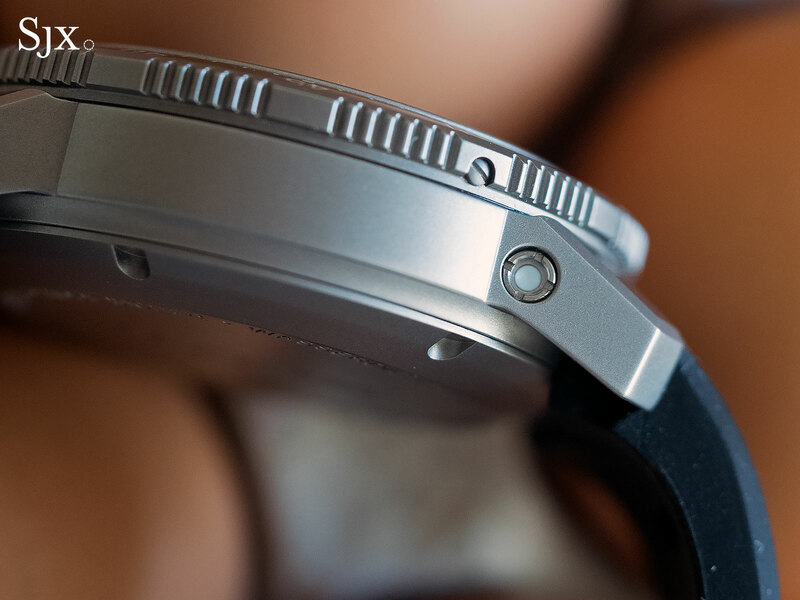 A less obvious upgrade is the bezel, which was a conventional snap-on bezel in the original EZM 1. 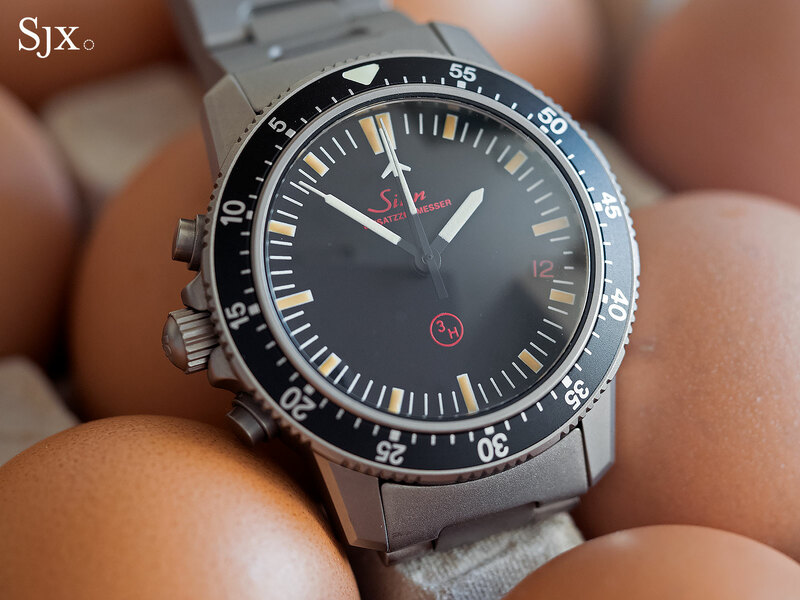 Its bigger brother is equipped with what Sinn calls a “captive bezel”, one that is secured with screws, preventing it from being knocked loose as is possible with a snap-on bezel. While in the hand the watch feels indestructible, on the wrist that makes it less comfortable. The EZM 1.1 sans strap and buckle weighs 106g, compared to just 61g for the EZM 1. The size and weight makes the watch feel reassuringly solid and well-made, but also large and clumsy. It’s always present on the wrist, unlike the titanium EZM 1 that can sometimes be forgotten (especially when worn with a strap). So it is somewhat of the quandary: when the lightness of the original EZM 1 gave it a bona fide military feel, as a watch it felt somewhat downmarket. Notably, despite its increased size, the EZM 1.1 is rated to 200m, compared to 300m for the EZM 1. Both EZMs, however, share the same “Ar-Dehumidifying Technology”, which is a copper sulphate capsule embedded in the case that’s meant to absorb moisture inside, as well as an inert gas injected inside the case during assembly. 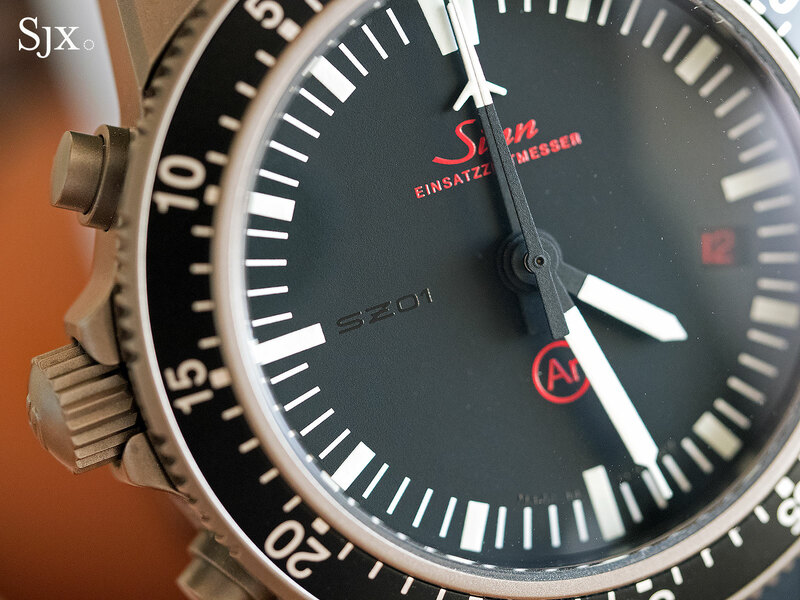 On the original EZM 1 the gas was argon – explaining the “Ar” logo and moniker – but sometime in the mid-2000s Sinn replaced argon with nitrogen, which functions the same way but costs less. The copper sulphate capsule starts out as pale blue and darkens as its absorbs moisture. The other major upgrade is the movement. The EZM 1 was powered by the Lemania 5100, an inexpensive movement with rudimentary finishing and a handful of low-friction plastic parts (partially explaining the low jewel count of 17), mainly because it had a central minute counter. All the chronograph registers were removed for legibility, giving the EZM 1 its characteristic look. Although it’s now over 20 years old, the look is still one of the strengths of the watch. Though Sinn still makes admirably straightforward watches, its chronographs have gradually become fancier in design, leaving the EZM 1.1 the only chronograph in the catalogue with such a sparsely populated dial. And the design works, it is swiftly readable in practically any lighting. While the EZM 1.1 keeps the same look and the central minute counter, the movement is actually derived from the Valjoux 7750. Named the SZ01, the calibre was developed in-house by Sinn, which modified the 7750 to give it a central minutes register. One of the reasons the SZ01 was developed was because the Lemania 5100 was discontinued (though the movement later evolved into the low-cost calibre found in the Swatch automatic chronograph as well as entry-level Tissot chronographs). The movement is probably the primary reason why the EZM 1.1 costs almost US$5000, or double what the EZM 1 did. 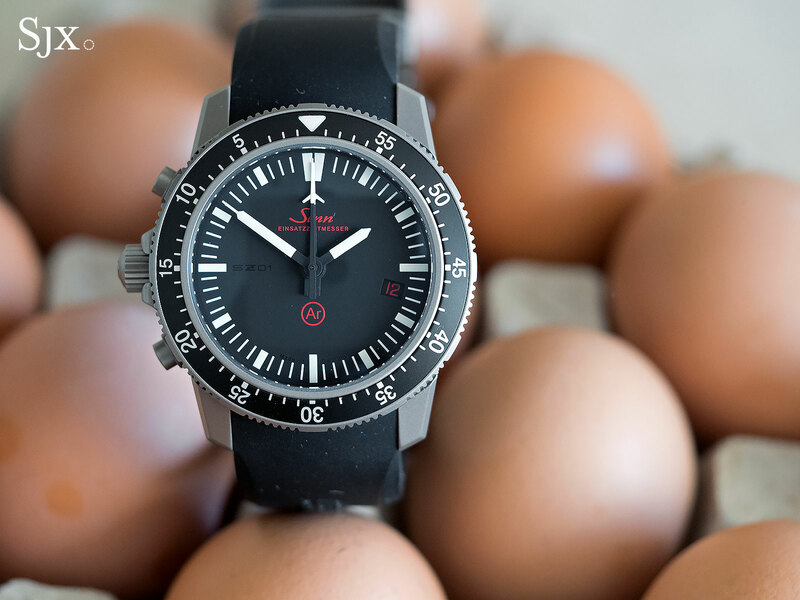 While the jump in price is significant, it comes 20 years later, and puts the EZM 1.1 on par with other Sinn watches equipped with the same movement. More importantly, it still leaves Sinn competitively priced relative to the competition. The affordable pricing does mean that the dial and hands are pretty basic, in terms of printing and finishing, when examined up close. The border of the white luminous paint on the black hands, for instance, is fuzzy. And there have also been several reports of misaligned minute markers on the dial, according to participants of the Sinn forum on Watchuseek. 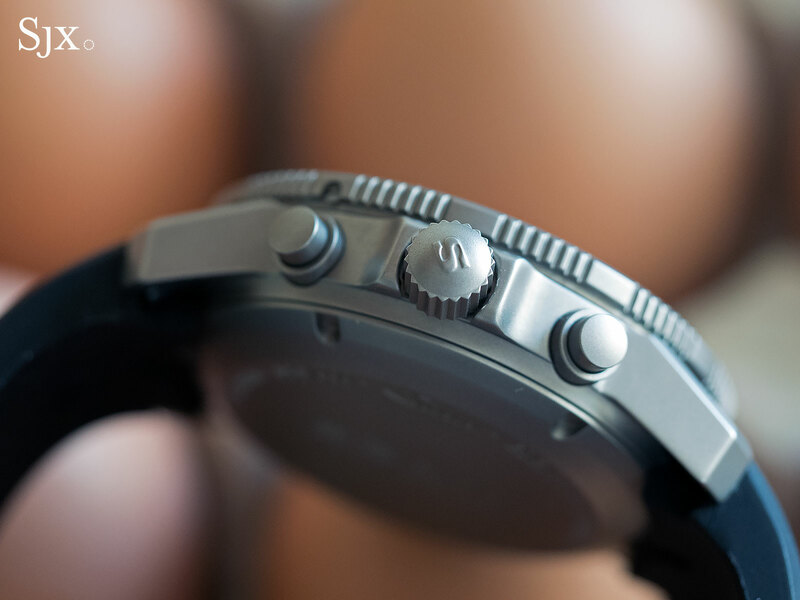 The tally of pros and cons of the EZM 1.1 ends positive; the watch offers a lot for the money. Take it as a military-inspired watch – with bona fide military heritage – featuring all of Sinn’s technology bells and whistles, and it’s easy to be pleased with it. There isn’t quite anything else like it on the market today. The EZM 1.1 is limited to 500 pieces, and by all accounts is selling briskly. 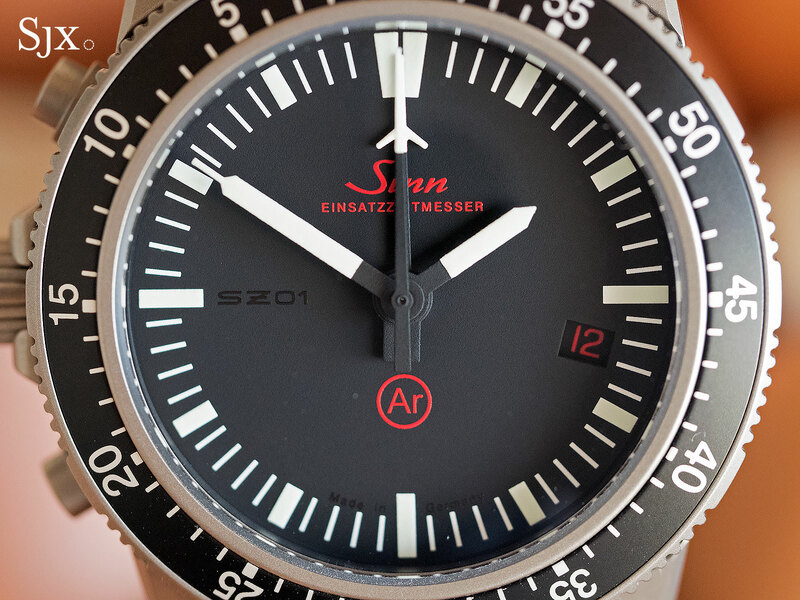 The biggest drawback of the watch hinges on a potentiality: whether or not Sinn releases additional variants of the watch in the future (like one with a black-coated case for instance). If that did happen, it would diminish the appeal of the EZM 1.1, leaving it feeling a lot more expensive and run of the mill. Now equipped with the SZ01 movement and larger, steel case.